In my new post within my colaboration with RTDI’s blog this month you will find the first text of a series of posts in which I will explain what I have called “puzzle pieces” that make up the H2020 puzzle for this last programming period 2018-2020. 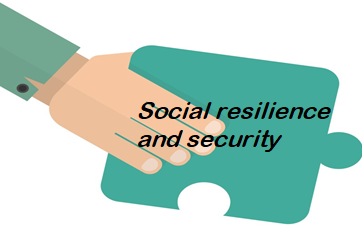 Today, I start with Social resilience and security, a great challenge in which the European Commission is devoting many efforts. I have make a review of the current and future Hot Topics identified in this big focus area, the motivation behind these hot topics and the budget allocated for the period 2018-2020 in this concrete area. the main objetctive of this post is just to make easy for those who are working in topics related to this main challenge, to tune the shot when building a successful H2020 proposal. Are you still waiting to read it?